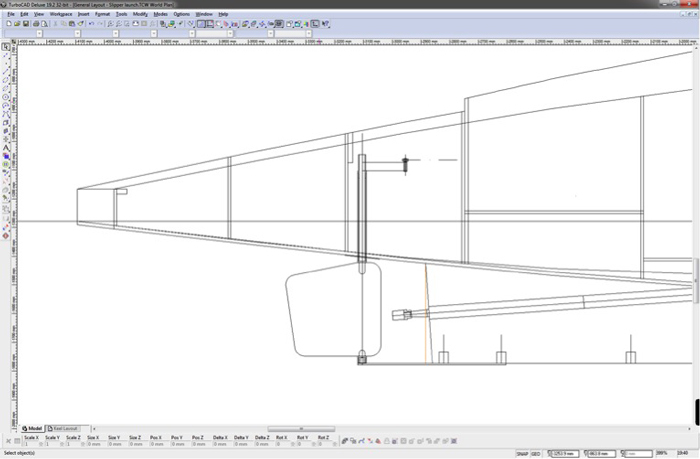 Finally, amid a plethora of distractions, I make headway on the rudder design. I have a suspicion that the skeg detail has changed since i did the original keel design so before I proceed further I need to check this out. this I can do when I slip the propellor shaft in next month.